​Mt. 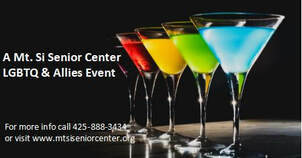 Si Senior Center's Senior Advocate, Britt Isbell, is available to assist you with questions about social security, senior housing, Medicare, Medicaid or to help you connect with other senior services and resources in the Snoqualmie Valley. ​Please call Mt. 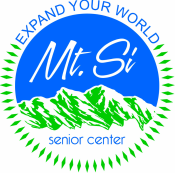 Si Senior Center at 425-888-3434 for an appointment or drop-in. Whether you want to lose weight, face health challenges, are grieving, or coping with depression, Enhance Wellness, a participant-centered motivational intervention with proven results, can help. Please call 425-888-3434, ext. 4 to speak with Britt Isbell. You will benefit from this six-week class, Powerful Tools for Caregivers. Whether you are helping a parent, spouse, friend someone who lives at home, in a nursing home or across the county. To register, please call 425-888-3434, ext. 4 and speak with Britt Isbell or email advocate@mtsiseniorcenter.org. ​Join us for a hearty afternoon tea with finger sandwiches and delicacies. Enjoy the company of your friends, great conversation and catching up over a nice cup of tea. Every month we head off to a different location within the Valley. In March we are heading off to Los Cabos Mexican Restaurant in North Bend. Come and meet new friends, share ideas and enjoy appetizers on us. Grab your buddies and join us for the fun meet and greet!